Palm Springs Real Estate, La Quinta Real Estate, Palm Desert Real Estate, Rancho Mirage Real Estate and Indian Wells Real Estate. Elaine Stewart was recently awarded the RE/MAX Lifetime Achievement Award in 2013. The RE/MAX Lifetime Achievement Award honors highly successful agents who have 100 million in sales and over seven or more years of service with RE/MAX. Elaine has been in the RE/MAX Top 100 Residential Sales Agents, out of over 55,000 Agents from September of 2013 to September of 2014. If you are thinking of buying or selling Palm Springs Real Estate in the Palm Springs, Palm Desert, Indian Wells, Rancho Mirage, La Quinta, or the surrounding desert areas. Elaine Stewart is the RE/MAX Real Estate Agent to call. With over 21 years of experience in the Pal m Springs Real Estate market, Elaine truly enjoys helping people in the process of buying or selling a home. Elaine Stewart was recently awarded the prestigious Remax Lifetime Acheivement Award which honors highly successful RE/MAX Agents who have 100 Million in Sales and over seven or more years with RE/MAX. Palm Springs Real Estate is located in the Coachella Valley which is 100 miles east of Los Angeles or about a two hour drive. With more than 350 days of glorious sunshine per year and warm, mild winters. Palm Springs definitely boasts some of the best weather in the nation. There are also more than 200 beautiful golf courses making it the one of the top world's premier golf destination. Looking to sell or lease your Palm Springs Real Estate, Desert Estate Home or Condo? Do you need financing? We can get you pre-approved quickly with our preferred local lenders, we also have financing for Canadian citizens. Buying or selling your house could be one of the most important financial decision you will make in your life. Elaine is committed to helping you make the right decisions by accommodating your special tastes, service needs and financial requirements. Give Elaine a call today because your choice of Real Estate Agent can make a difference. There are even a few distress sales, and Palm Springs foreclosures where very motivated sellers and Banks are willin g to discuss low offers with qualified buyers of choice Palm Springs homes, Palm Springs condos, vacation homes or resort luxury living properties. If there was ever a time to buy in the area, now is that time. 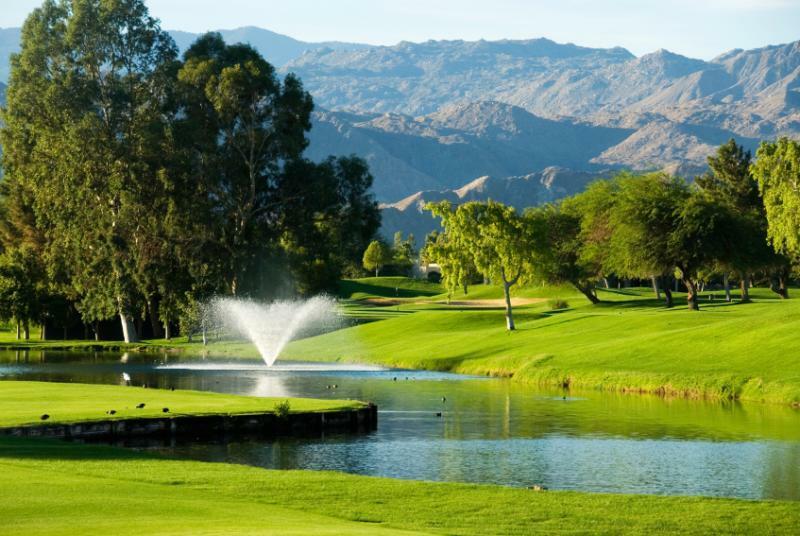 I will help you find exactly what you are looking for, in the right neighborhood or community, whether its on a Palm Springs Golf Course, in a Gated Community or in a Active Adult 55+ Community, we will find it for you. The spectacular Mountain views from almost anywhere in the Palm Springs Real Estate area is a draw for most home buyers. Winter temperatures are perfect for the patio, and you can see the majestic mountains from your luxury home, golf course resort or a Palm Springs vacation rental condo. Feel free to search listings, when you have found something you like, give us a call or email us, and we would be glad to show you some properties at your leisure.